Don't have a cow, and don't reach for that water! 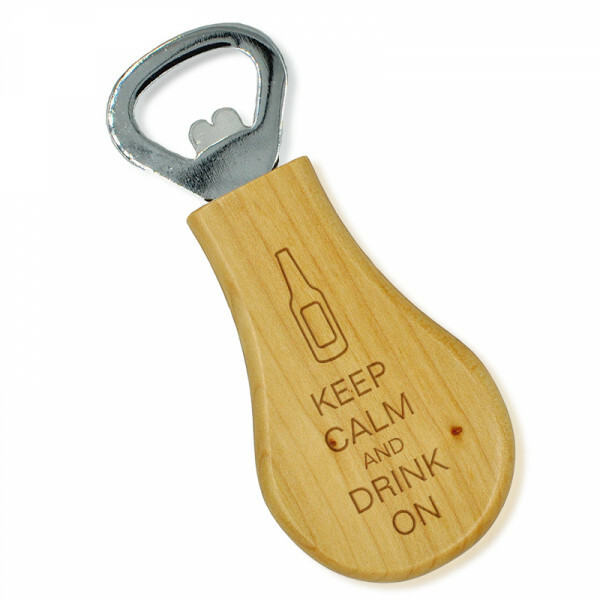 Keep Calm and Have a Beer with this cool novelty bottle opener. Dimensions are 1.25" x 4"
Your frat boys are on their way, you have the beer chilling in the fridge but you can't find your bottle opener anywhere. Our Keep Calm and Drink On Maple Wood bottle opener will ease your anxiety. Stays right on the refrigerator with its built-in magnet. Never panic again and get your party started! Order yours today!